Living in Europe, we have seen several climates that bear olives – the South of Spain, Provence (South of France), Tuscany & Umbria (in Italy), and Greece. It takes an arid region to cultivate this delicious specialty. It is best grown in the Mediterranean basin where the temperature and soil yields the best fruit. 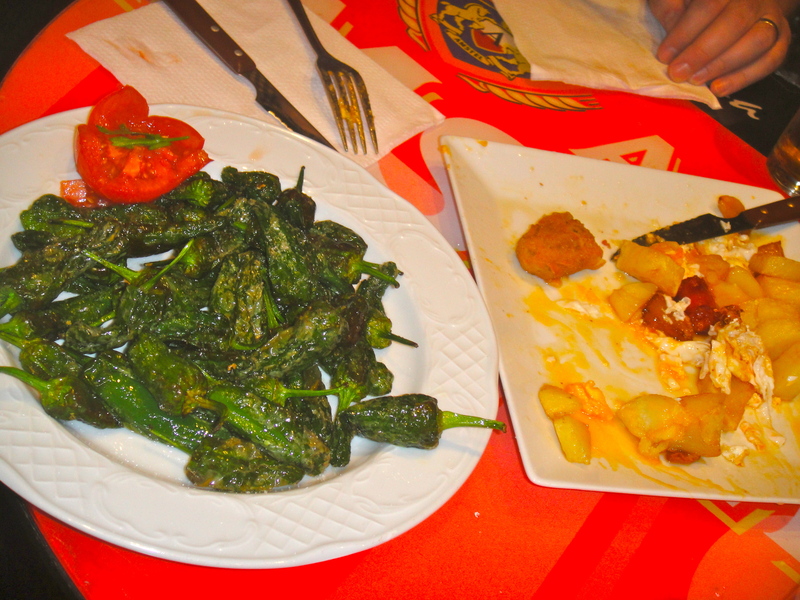 In the South of Spain, we enjoyed tapas, most of them drenched in oil. It was delicious to have their oil integrated into their cuisine. And, I actually had no clue that France produced olive oil until we did our summer trip to Provence and drove through many groves in les Alpilles. Valdition, the estate where we found the lavender, had a hefty production of French olive oil. We purchased some from our innkeeper. 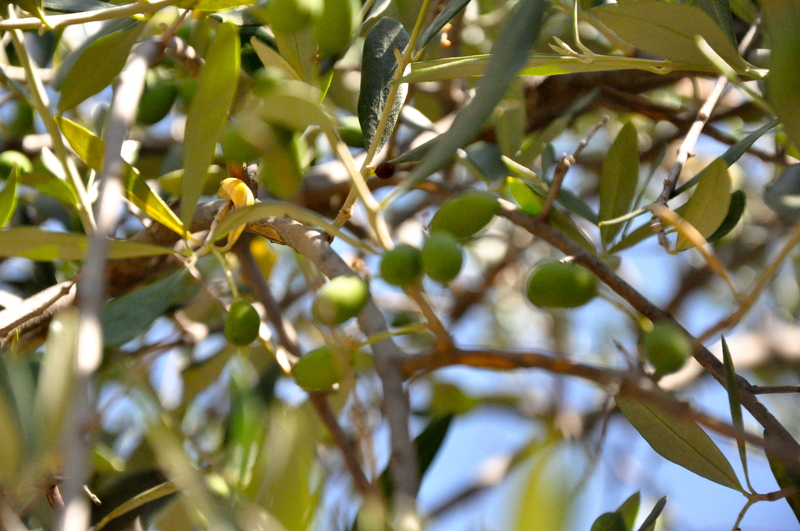 French olive groves…ooo la la. 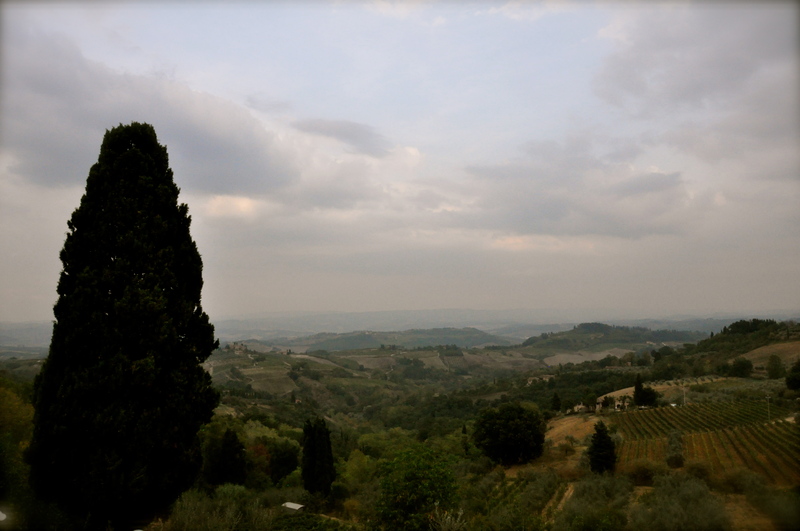 In Italy, we have had amazing olive oil on our trips. As it is very delicious and fresh, it is best appreciated on bread. Did you know that Italians actually import more than they export! However, when it comes to olive oil, the Greeks dominate in consumption. The average Greek consumes 26 L per year. This is double Spain or Italy’s consumption at 14 L. And the US, North America, and Northern Europe pale in comparison at 0.7 L.
The green in the hills…..those are olive trees. 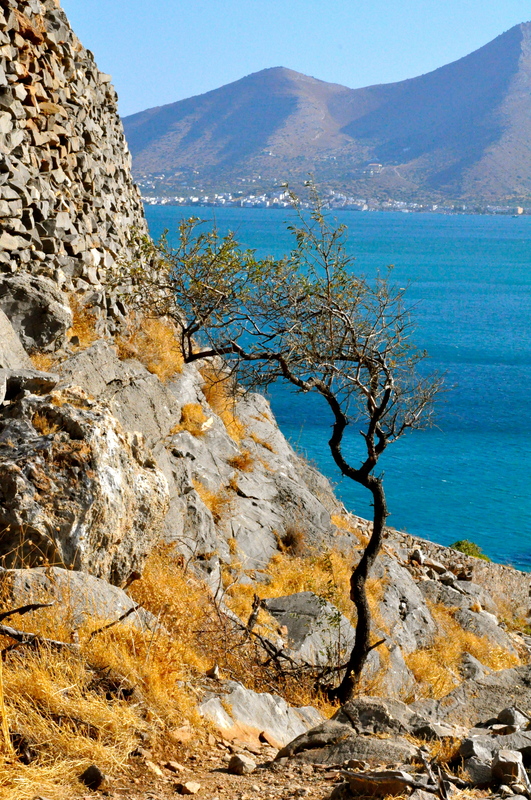 Crete, Greece. 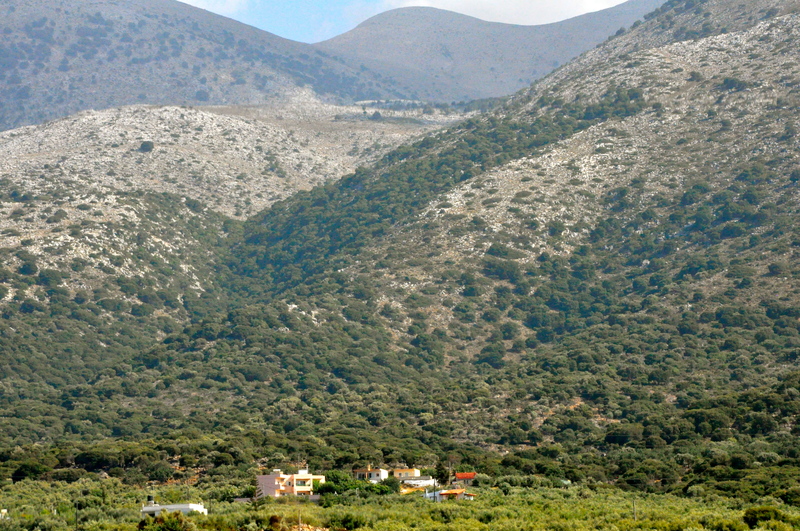 One of our guide books indicated that Crete produces 20% of the worlds supply of olive oil. I haven’t found facts to back that up, but this stat is staggering for such a small island. I would believe it as the Cretean diet, heavy in foods farmed off their land – olive oil and fresh produce, was found to be the reason that Creteans have the lowest mortality indices, irrespective of what disease. Also, perhaps some of their consumed quantity could be attributed to non-traditional uses. When in Crete, I had a massage at the hotel in which the masseuse used pure extra virgin olive oil. I tasted my arm before leaving – it was the real deal. Also, a friend reported that her daughter-in-law’s family, which hails from Greece, immersed her newborn grandchild in olive oil for luck upon meeting them for the first time. Regardless of the use, we would argue the best tasting olive oil comes from Greece. From our first taste in Athens at Pritangon to our most recent tastes in Crete at Osteria Fish Taven, it is still confirmed our favorite. Surprisingly, I even heard an Italian in Sorrento admit that the Greek oil was the best. So, why is olive oil Greece’s best kept secret? I guarantee you if the world knew how amazing this stuff is, then Greece’s economy wouldn’t be struggling so much! This entry was posted in Food, Wine & Beer, Travel: Europe. Bookmark the permalink. the quality of Greek olive oil. The economy needs any boost it can get.